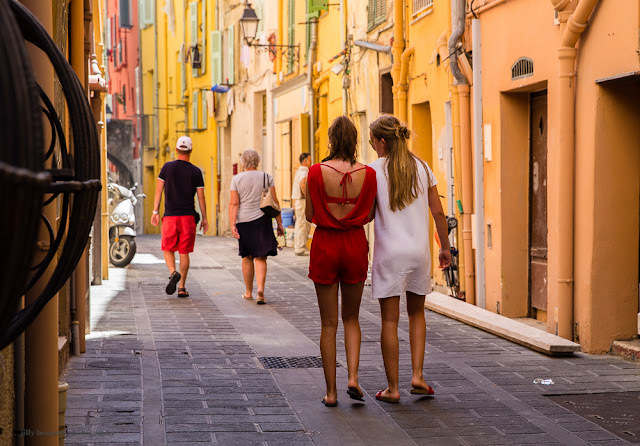 The beautiful colours of Rue Longue in the Old Town of Menton. Les belles couleurs de la Rue Longue dans la Vieille Ville de Menton. Thank you for the beautiful photo of my favorite street in Menton - or anywhere. It brings back wonderful memories of our tiny apartment on the rue Longue.